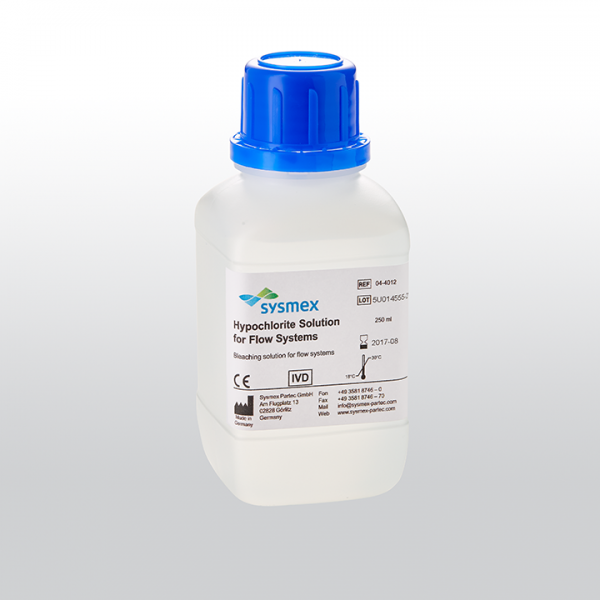 Hypochlorite solution for cleaning the sample lines and cuvettes of Sysmex flow cytometry systems to reduce residuals and cellular debris. Documents. Refer to the instrument’s operator manual and IFU describing the need and use of the hypochlorite solution.